WROC-TV/News 8 Rochester chief meteorologist Scott Hetsko, who received a heart transplant in September last year, is finally back where he belongs…in front of the camera, updating viewers about the latest weather forecast as he has been doing for 16 years. WROC’s Scott Hetsko returned to work tonight, to the delight of viewers tuning in for coverage of Super Bowl 50. Scott has been on medical leave since June 2015. When he was too sick to work, Scott signed off the air, telling viewers he might be away for a while. The next day, he checked in to Strong Memorial Hospital’s Transplant Center. Scott waited three months until hearing the news he longed for: he was getting a new heart. During the entire experience, Scott and the WROC team have embraced the importance of raising organ donation awareness. Visit a special “Pass Life On” section on WROC-TV/News 8 Rochester’s website. WROC continues to work closely with Finger Lakes Donor Recovery Network (FLDRN), in an effort to encourage everyone 18 and over to enroll in the New York State Donate Life Registry. 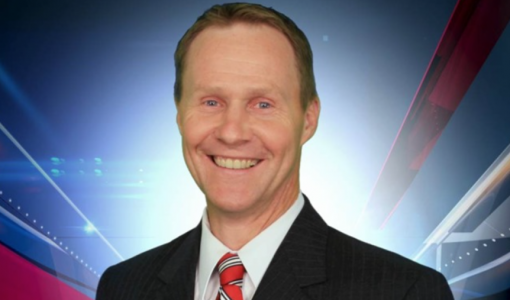 WROC-TV/News 8 Rochester: Scott Hetsko’s ready to return to work!